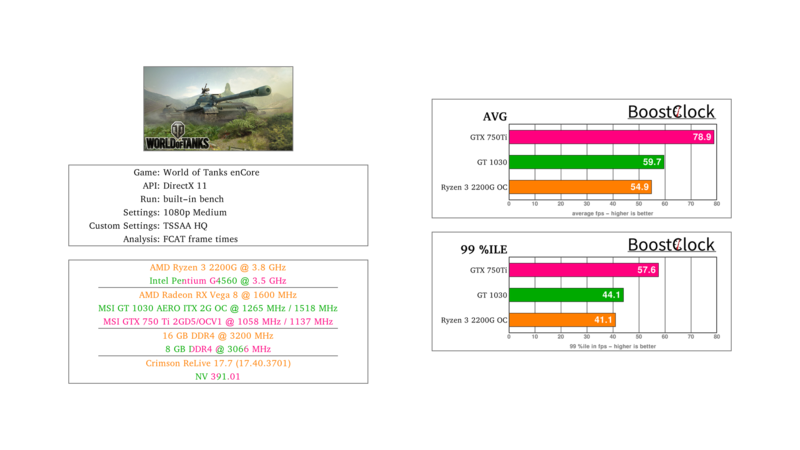 NVIDIA has released the GeForce 391.01 WHQL driver which "provides the optimal gaming experience" for World of Tanks 1.0 so we set out to see how the GT 1030 and GTX 750 Ti performs against AMD's latest APU, the Vega-based Ryzen 3 2200G. 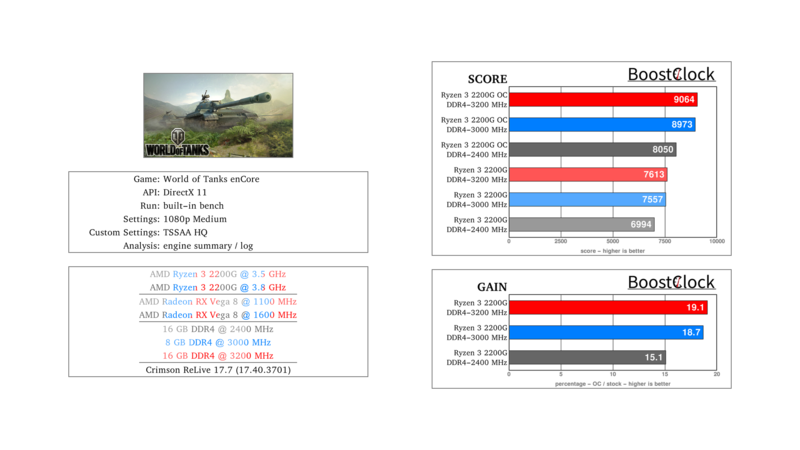 To provide I guide on the ideal memory configuration for WoT all of the configurations were tested with different memory speeds and capacity. 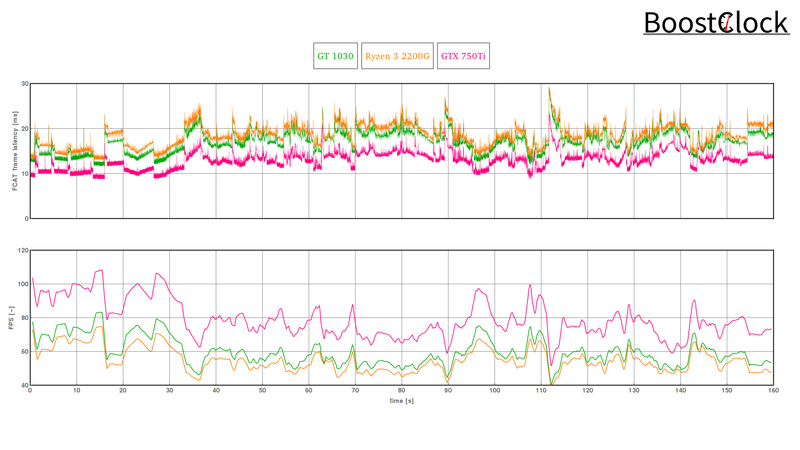 As memory prices are on record high, it is essential to choose the modules that provide great bang for the buck. The Pentium G4560 with the budget NVIDIA dGPUs didn't show any gains with higher speed memory - you will be fine with 2x4GB DDR4 2400MHz in WoT. 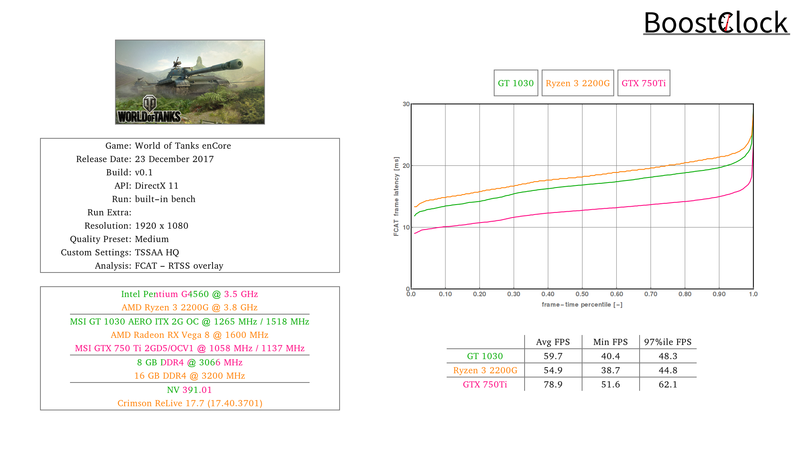 I would rather spend the extra money on a more capable dGPU, like the GTX 1050 (Ti). 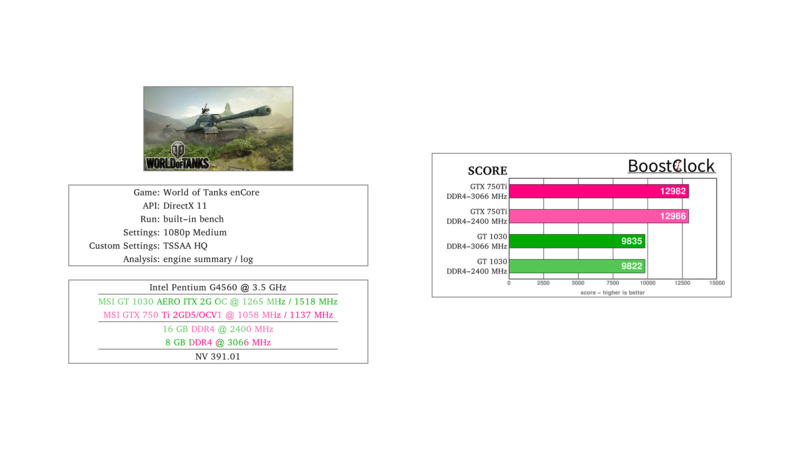 The story is strikingly different on integrated graphics as APUs use system RAM as VRAM. 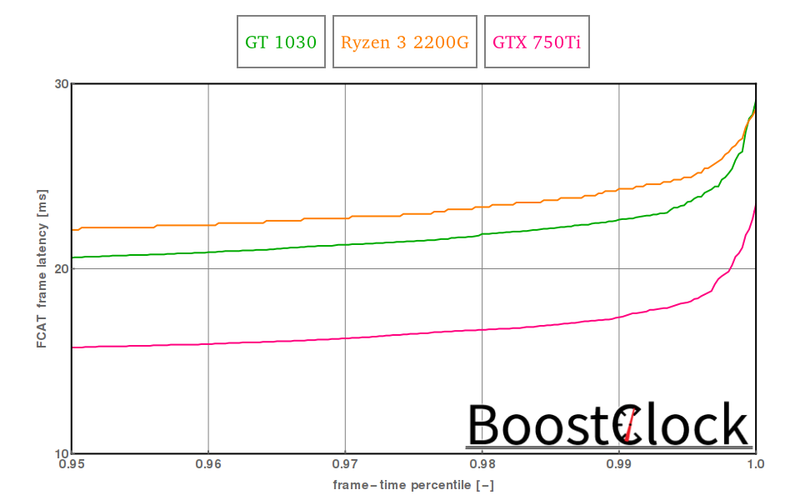 Although the uplift is considerable with faster memory modules, overclocking results of the Ryzen 3 2200G is what really steals the show. 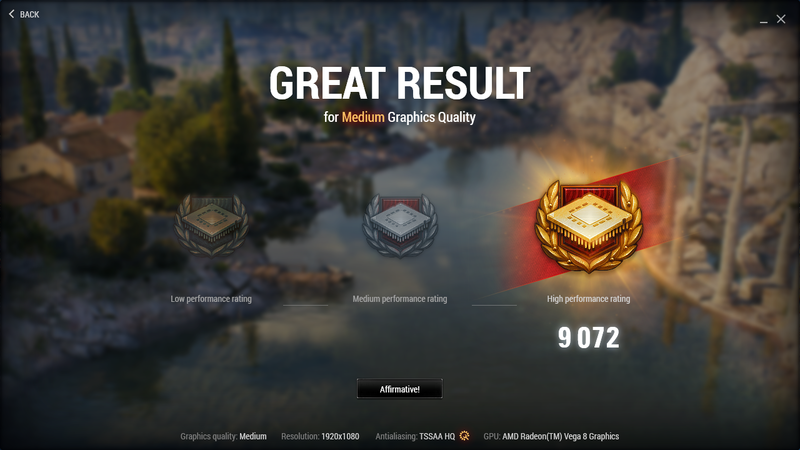 Vega 8 running at 1600 MHz was more than 15%-20% faster in WoT compared to stock settings.